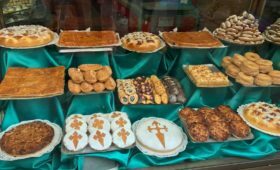 Home > Blog > Camino de Santiago > Walking the Camino de Santiago will change you! I’ve just come back from walking the Camino de Santiago to the Cathedral of St. James in Santiago de Compostela, Spain. It is hard. If you possibly can, you should walk it too. The Camino (the way) to Santiago is a 1,000-year-old pilgrimage to the cathedral where the remains of St. James the Apostle are said to be enshrined. James was the elder brother of St. John. They were the sons of Zebedee. James was martyred by King Herod in Jerusalem (Acts 12:2). Tradition has it that after the Resurrection, James had evangelized the people of Galicia, modern-day northwestern Spain. Legend has it that after his martyrdom by decapitation in Jerusalem, his headless body was brought back to Galicia and buried in a field, under the stars. Nine hundred years later a shepherd found the grave under the stars (hence campo — field, stela — star). The local bishop proclaimed them to be the remains of St. James the Apostle. Whether the remains in the cathedral are literally the remains of St. James the Apostle is almost irrelevant. For a thousand years people have been streaming to Santiago in pilgrimage. In the 12th and 13th centuries there were four great Christian pilgrimages: Jerusalem, Rome, Canterbury, and Santiago. The only one that still exists in its original form is Santiago. In the Middle Ages as many as 200,000 people per year made their way to Santiago to pray at the Cathedral of St. James. A whole infrastructure had to be built to accommodate all these pilgrims, including hospitals and places to stay. Orders of knights had to protect the pilgrims. Kings and ambassadors had to agree to safe passage. People had to extend them aid and hospitality. 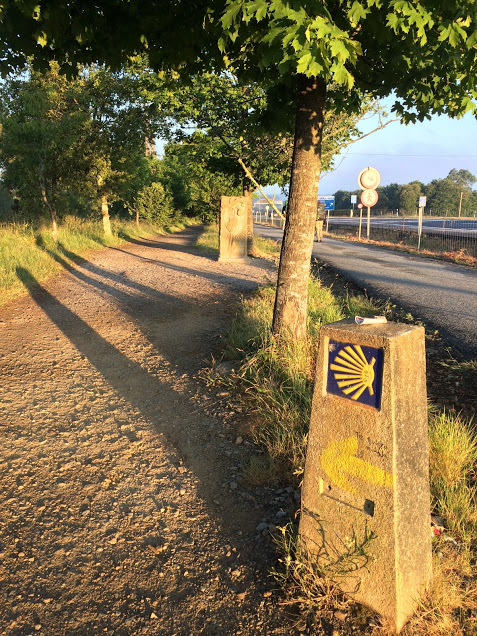 Today, as you approach the modern city of Santiago there is an inscription in the path that reads, “Europe was made on the Camino to Santiago.” Some walked for years. Many died on the Camino. Some never went home or went home completely changed. At times in the past 900 years the stream of pilgrims has nearly dried up. But today there are more people than ever “caminando” (walking) to Santiago. This past year over 270,000 people made their way to the cathedral and received a certificate that said they had walked at least 100 kilometers (about 65 miles). The resurgence of pilgrims is partly attributable to the media. The 2010 movie “The Way” by Emilio Estevez, starring his father Martin Sheen, made the pilgrimage known in North America. Paulo Coelho, the Brazilian author, wrote “The Pilgrimage” which made the Camino popular in Latin countries. There are several routes to Santiago. I walked the most traveled “Camino Frances,” which starts on the border of France in St. Jean Pied de Port. It is about 800 kilometers or about 470 miles. There are other routes from Portugal, southern Spain and along the sea coast. What is it about the Camino that draws so many people? It is a pilgrimage, not a hike. Pilgrimages are more about stopping than going. You stop your own life and step out of the familiar world so that you can look and listen, reflect and change. You strip away all that is unnecessary so that you can hear the voice of God in your life. 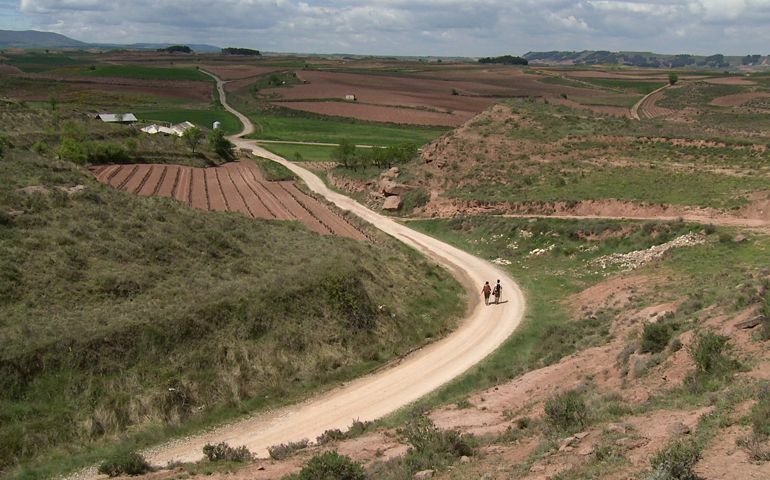 The Camino is a very Catholic pilgrimage, but you don’t have to be a Catholic to do it. I met Buddhists, Evangelical Christians, atheists, and even few Muslims, in addition to Catholics. Everybody walks their own Camino. No two experiences are the same, even if you walk with someone else. I walked with an old high school friend, Marty Menez. Even though we had known each other 50 years, we each walked our own Camino. There are, however, common themes. You will be challenged physically, psychologically, and spiritually. Physical challenge comes first. Everybody gets some physical problem from blisters to tendinitis, to broken bones. Then comes the psychological challenge. It gets boring walking all day. Central Spain is flat as a tabletop. That is why it is called the “meseta” (from the word for table). It is endless fields of hay, wheat and nothing, with no place to sit down and no shade. At the end, the Camino is a spiritual challenge. Questions finally emerge. Why am I doing this? What do I want to learn? What voice do I hear in my life? Where do I go from here? I had all three challenges. I found them nearly overwhelming. Don’t do the Camino on a whim and don’t do it with arrogance. It will humble you. 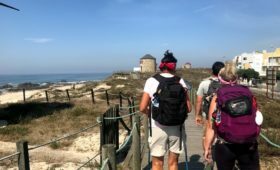 Physically I started the Camino with torn ligaments in my right knee. They got worse before they go better. Then I tore the ligaments in my left knee. I got tendinitis and my feet swelled up so large I had to buy new shoes. Each day I taped my feet with “duct tape”. Many people don’t finish the Camino. Psychologically I felt overwhelmed and a failure. In the middle of the Camino, near Leon, I could no longer walk. I felt a complete failure. I had to take the bus across part of the meseta. At the end, the Holy Spirit entered in. I felt an unusual happiness, an incredible “lightness of being.” At times, crippled up as I was, I danced down the country roads all alone. It was wonderful. 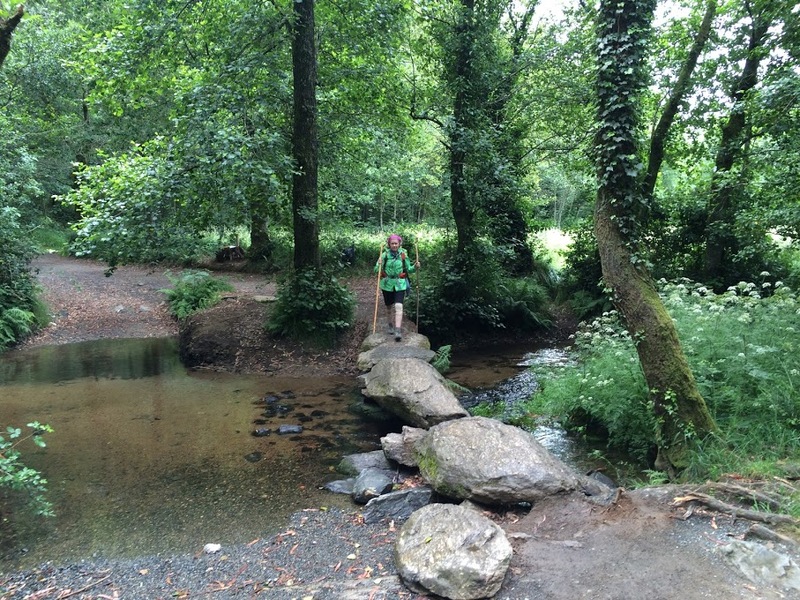 Every couple of days or so, on the Camino, I posted my thoughts and experience on Facebook. I had about 400 people following along from my parish and from around the world. It was humbling. (The posts are still up on my Facebook page). I got the biggest reaction early on when I saved a tiny little kitten from drowning in a river. I got another big reaction when I tore the ligaments in my other knee and had to stop. At the end, when I was dancing down the road to music from the Buena Vista Social Club, I heard from all sorts of people who were dancing along with me in their living rooms and kitchens. My experience on the Camino was mostly silence. Marty walked on ahead. I hobbled on along behind, most of the time alone. I sang hymns and said prayers. But the best moments were encounters, meetings with complete strangers on the Camino. Something about the Camino makes people disclose their deepest thoughts to complete strangers. I think it is partly the physical setting and the fact that we are walking. We are not looking at each other, but ahead. In a sense we are thinking out loud. Everyone on the Camino is in transition. There are students who have just finished school. People recently or soon to be retired. Divorcees and widows, contemplating their lives alone. People who have survived cancer or a health crisis. If you have gone through a big change, it is a good way to step outside your life and contemplate the past and the future. It is filled with characters of every type. I met a Korean boy on unicycle. I met a cross-dresser from England carrying a stuffed tiger. I met a banker from England who wanted to chuck it all and go back to his native Brazil and open a gas station. I met hippies and businessmen, military widows and wives and some of the nicest and most intelligent young people in the world. They only luxury you need is time: time to walk 500 miles, time to think and pray. All along the way there are people to help you: cheap places to stay and eat, churches where you can rest your bones, people to call down blessings on you. “Buen Camino,” people call out to you a hundred times per day. So what happened to me at the end? Happiness. When I went to the cathedral to pick up my certificate I was overcome. I couldn’t speak at the end, I was crying so. In the cathedral, concelebrating the mass from the high altar, I looked out at the 1000-year-old church. I thought of the millions of pilgrims who had come before me. I thought of all the people who had worshipped in that space, mostly poor and unknown, the great unwashed. 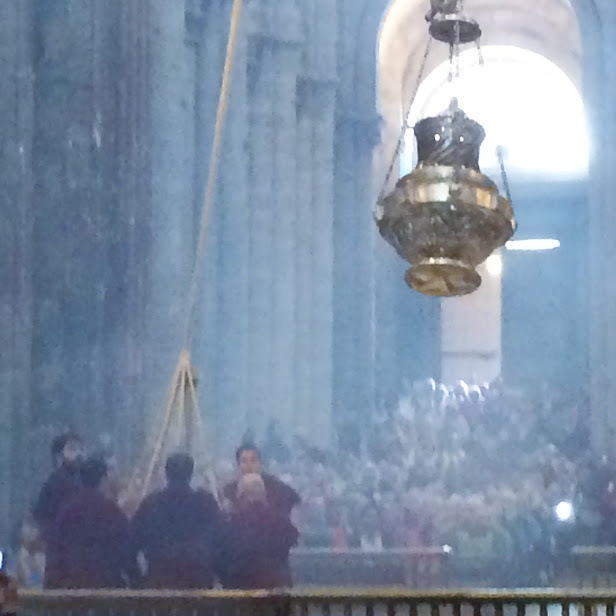 The liturgy in the cathedral is marked by the unusual swinging of the giant thurible, the “botafumeiro,” the “smoke thrower.” It takes six men to swing botafumeiro, which fills the church with the sweet smell of incense. In the Middle Ages, it overcame the smell of the pilgrims. So what happened to me? I came back limping for a while. But more importantly, I came back a happier person. I came back ready to move on in life. I came back renewed in spirit feeling more like praying. This is no small thing. If you possibly can, you should do the Camino too. It will change you. Are you wanting to enhance your journey as you walk the Camino de Santiago? Do you want daily encouragement and feel the need for inspiration on this spiritual path? Then, Step by Step, is the book for you! 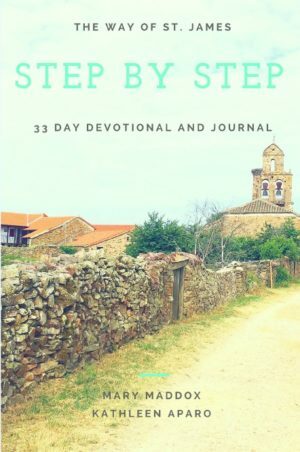 Feed your soul with this 33 day devotional and journal. Next PostDo you have to be Catholic to walk the Camino?